Supports the development and administration of compensation policies and programs for entities across Johns Hopkins Health System. The role will work closely with HR business partners and business leaders to drive solutions that attract, reward and retain talent and support business objectives. This highly analytical role requires a deep understanding of compensation principles and the ability to perform a wide variety ofduties including salary structure development and maintenance; integration and standardization of jobs in a complex environment; evaluation/market pricing of positions at all levels of the organization utilizing external market data and internal position comparisons; and managing enterprise-wide projects such as merit and executivecompensation administration and salary planning. Requires a Bachelor's degree in Business Administration, Human Resources, or a related field. MBA preferred. Requires a minimum of seven years of progressively increased compensation experience in job evaluation, data acquisition and analysis, survey completion and analysis, job description creation and pay policy interpretation. Compensation experience in a fast-paced, highly matrixed organization strongly preferred. - Substantial interpersonal skills necessary to interact with employees and management at all levels in problem resolution..
- Ability to work in a team-focused collaborative environment. - Compensation experience in a healthcare/clinical environment is strongly desired. - High level of analytical ability and detail oriented. - Ability to manage vendor relationships. - Demonstrated ability with Human Resources Management Information Systems and computer applications. 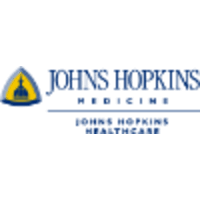 The Johns Hopkins Hospital is a smoke-free campus.